HomeThrowbackThrowback: “The Worst Is Yet To Come” by Still Remains! Grand Rapids Michigan Metalcore heroes Still Remains are the subject of this week’s Monday thrownback track from yesterdays gone. Still very much alive and working on a 4th studio album, the band have always had a special place here in the UK. Leaping back 14 years to May 2005, their debut full length album “Of Love and Lunacy” was released by then label of the moment Roadrunner Records and launched them on the global stage with “The Worst Is Yet To Come” and “White Walls” gaining oceans of air play on Kerrang! and Scuzz TV. 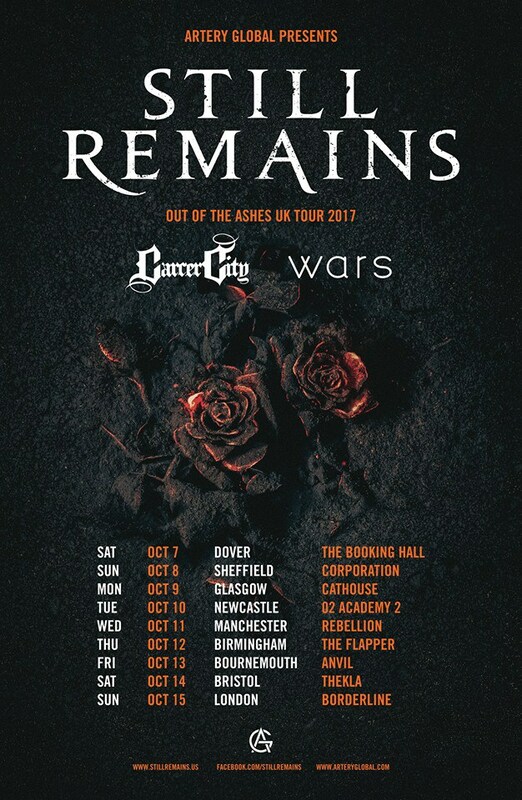 Their relentless touring was probably what cost them in the long run, breaking up in 2008 after their sophomore effort “The Serpent”. But they remained musically active, forming a number of smaller bands before reforming in 2011 citing their unbelievable chemistry as a collective. 2013 saw “Ceasing To Breathe” appear as a self release with a surprise guest vocal from Daniel Weydant of Zao on “Bare Your Teeth”.